Ladies distressed t-shirt from Chaser decorated with The Who 1972 US Tour graphic. 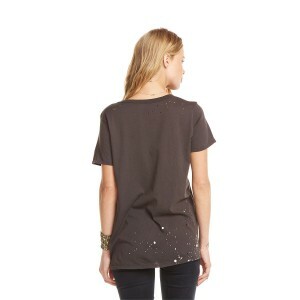 T-shirt is distressed with paint splatters and holes to give it a worn in look and feel. Fabric Content: 100% Knit Cotton. Hand wash cold.